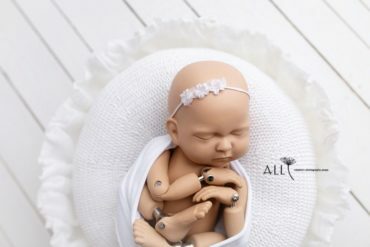 This collection is gorgeous. 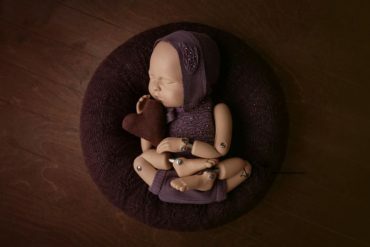 The colours are vintage-inspired and the patterns are pretty and perfectly coordinated. 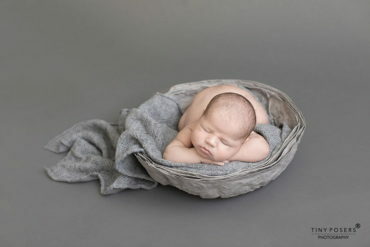 Rich textured photography props present an elegant setup. 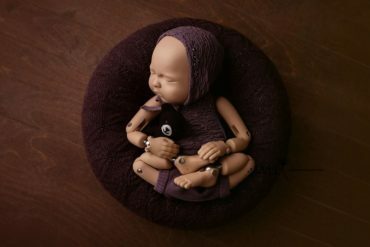 The mini bear in darker colour adds finishing touch in perfect harmony with the dark background. 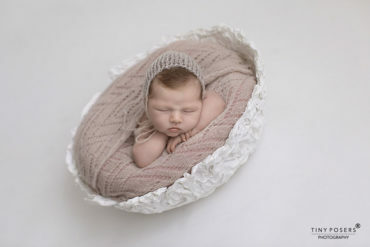 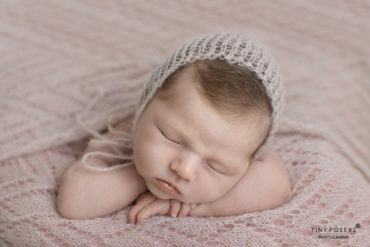 A delicate collection of newborn baby photography props with pretty details inspired by vintage underpinnings (see: muted colour palette, curly Bouclé yarn). 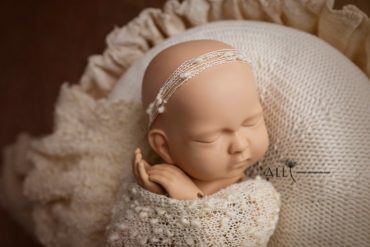 Not just for a newborn boy, this collection is perfect for a newborn girl session (use the tieback for a more girly set up). 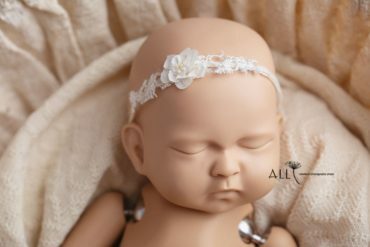 We love this newborn baby girl headband tieback. 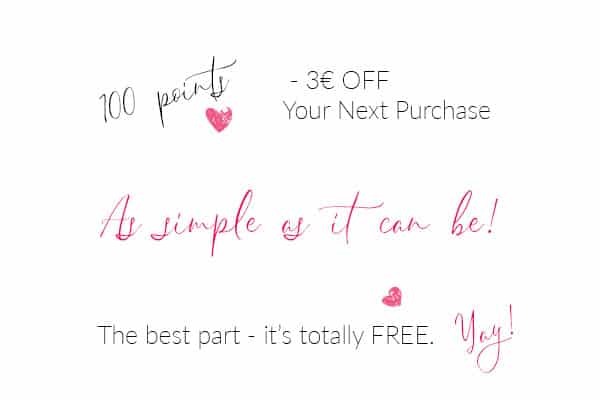 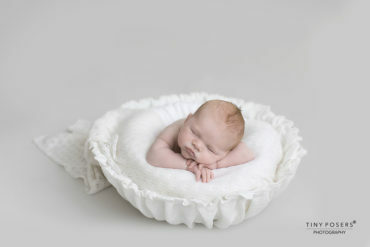 It adds a bit of girly flare without being over the top, is subtle and perfect to style with a simple photo prop. 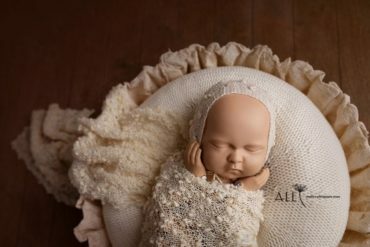 True vintage and put-on easy, this gorgeous newborn prop set of romper and bonnet is a great staple. 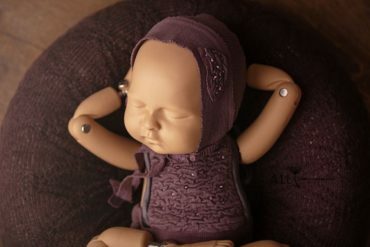 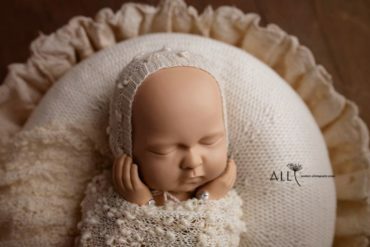 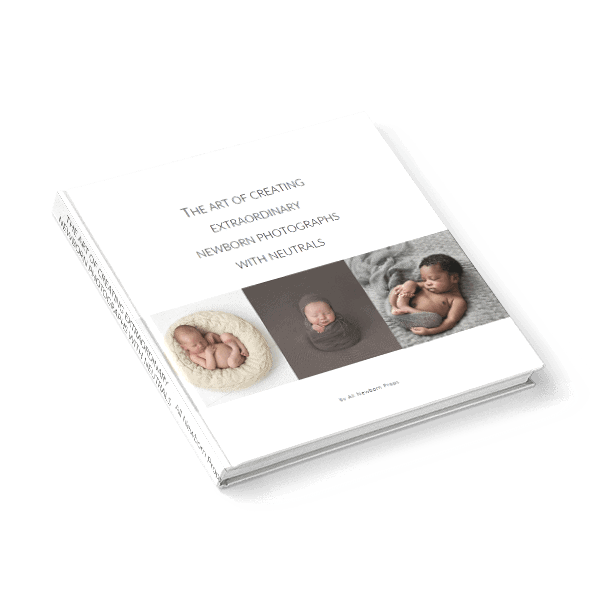 Upscale any newborn girl photography set up… great rich colour… great hand beaded details… great find. 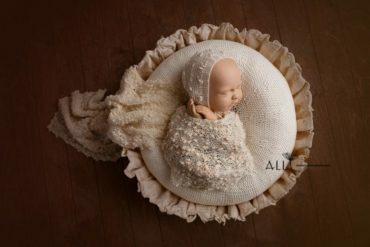 Romper and bonnet set for a newborn girl photography session. 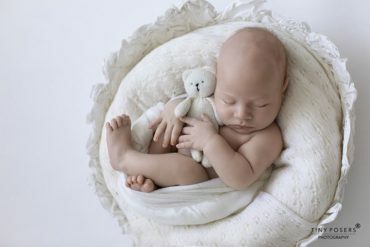 Mini Bear | Knitted in cream. 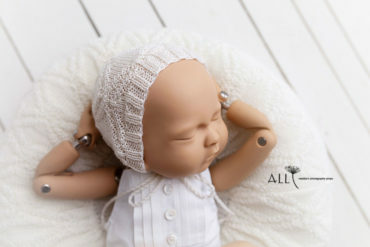 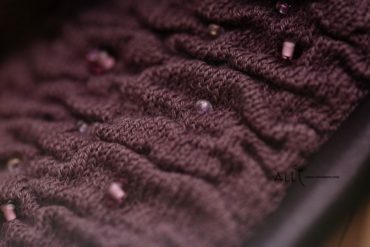 Taja Bonnet in dusty pink. 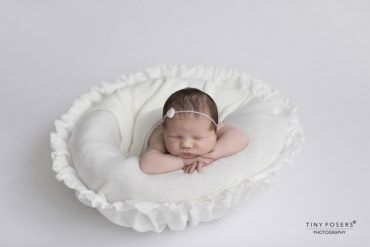 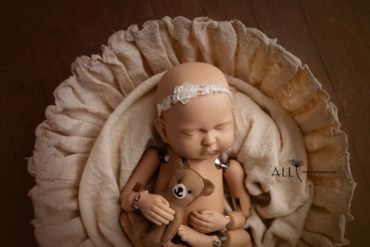 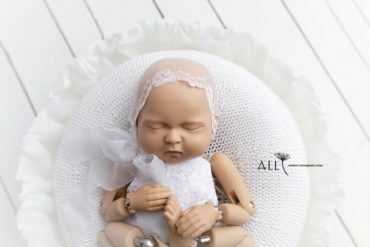 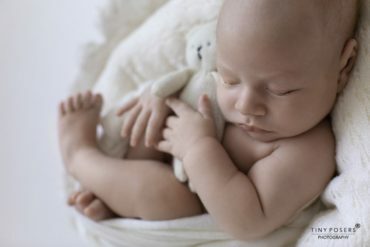 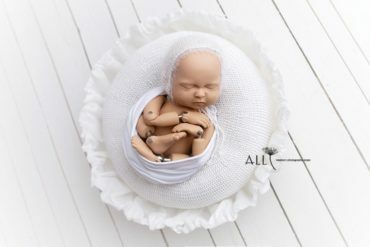 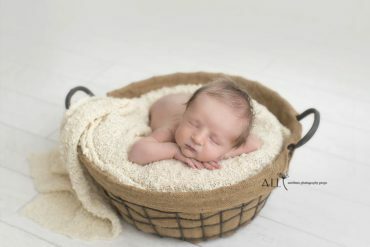 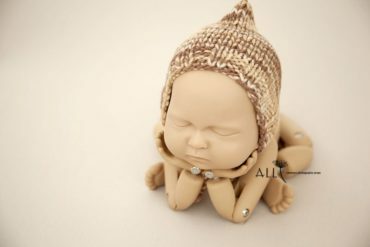 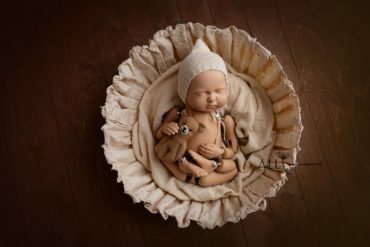 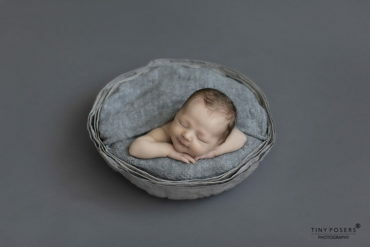 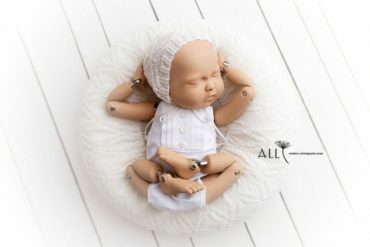 All newborn photography props needed are listed below.